Through workshops and short courses, CreateTLC seeks to empower businesses with best practices for ethical leadership and effective workplace behaviours. Our team at WDM was approached for our Web Design and Development services by Lisa, managing director and facilitator with over twenty years of experience in education and training. For this project, we sought to build a responsive, mobile-friendly website that highlights current and future courses, with strong calls-to-action to register for them. In the written content Lisa provided us, we recognized that strong values and principles were vital to the mission of CreateTLC, and aimed to put them front and centre in a simple but dynamic way (under the section, “What We Do”). We also integrated payment gateways to make online course registration a breeze. 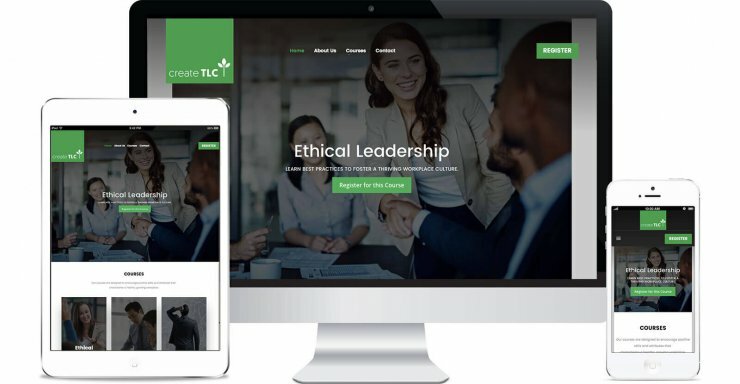 To promote their first course offering, Ethical Leadership, we continue to provide ongoing work in Google Adwords, by creating ads and monitoring the conversions through their landing page and website.